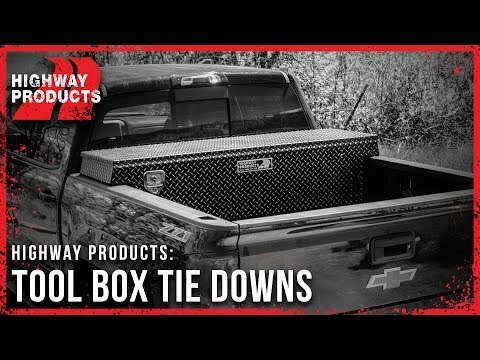 Our Single-Lid saddle-style tool box suspends from pickup truck side rails, allowing clearance between the box and the truck bed. Constructed from 1/8-inch military-grade aluminum, these corrosion-free boxes provide superior security and a water-tight seal. The best feature of the Single-Lid is the giant opening, which makes it easy to organize and access your tools when open. Single-Lid Truck Tool Boxes are available in sizes to fit all pickup trucks and come standard with our lifetime warranty. Oh, and it's equipped with an under-the-lid bottle opener, because sometimes life is just tough. 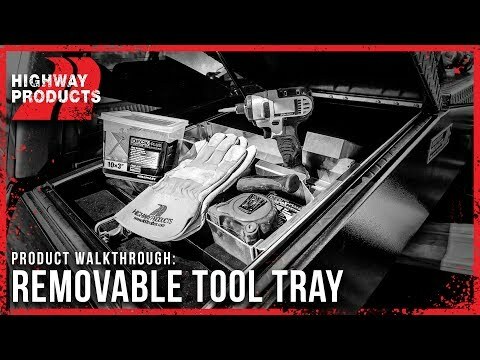 Like our Single-Lid Truck Tool Box but want something special done to it? Call our sales team now to start creating your own custom variant! The HPI difference is in the materials we use, the attention to all details and ultimately products we produce and proudly guarantee. Our promise is to take the best care of your product while we manufacture it, and continue to care for a lifetime after you receive it. 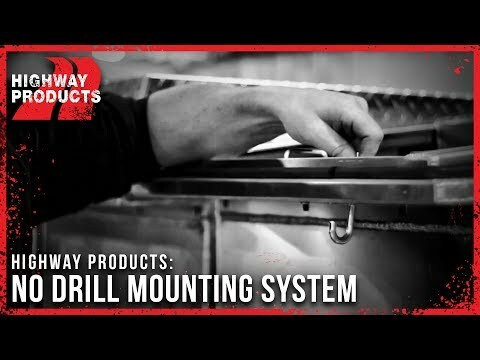 Highway Products uses nothing but the best materials. Our products are hand crafted out of Military Grade aluminum. Why take it that far? The days of using nothing but the best ingredients are all but gone in this world. We refuse to sink to that level. That’s the HPI™ difference. Hand crafted from beginning to end right here in the USA. Every square inch of our products are touched by human hands, every step of the way. This product can expose you to chemicals that are known to the State of California to cause cancer. For more information, go to www.P65Warnings.ca.gov. All HPI products come standard with options and features that you would normally pay extra for. Please explore all of our standard and optional features and call us with any questions you may have! We build our Single-Lid Truck Tool Box from diamond plate 5052 aluminum, the same material used by the military, aircraft manufactures and boat builders. We use oversized stainless steel hinges and 1/4" stainless steel pins that are 302 spring-tempered. We use Clean Seal™ automotive stripping around the edges of our Single-Lid Truck Tool Box to ensure a watertight seal. 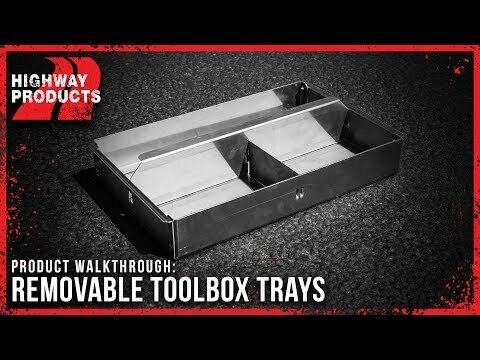 All Highway Products Inc. tool boxes are made from the same material used by the military. This thick, lightweight material is the perfect solution for reducing the weight of your work truck. For those hard to open beverages at break-time or after work, we've included a convenient bottle opener built inconspicuously into the underside of the lid. Enjoy responsibly. 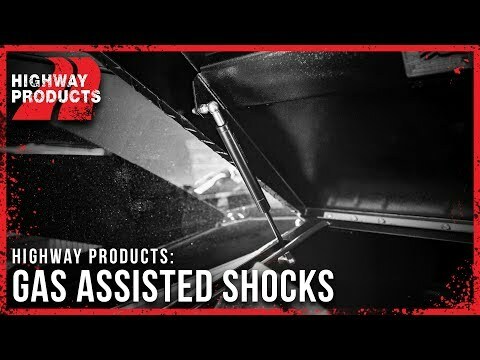 Nitrogen-driven gas shocks raise the lid of your Single-Lid Truck Tool Box and keeps it open while you access your tools. The shocks are strategically placed so you can close the lid with one hand. The single lid box design has an extra-large opening that allows unobstructed access your entire tool box. Our ergonomically designed T-Handle locks are the most secure locking mechanism on the market. The tapered design of our tool boxes creates a larger opening, making it easier for you to reach items at the bottom of your tool box. We've welded rope hooks directly to our Single-Lid Truck Tool Box which adds extra contact points for securing your load. Our signature HPI Black™ Diamond Plate finish combines that trendy satin look with just a little shine to hide scratches and keep that tough black look. Tried and true. The all time classic finish. Rugged, durable and will last forever. HPI's signature finish. This exclusive, patented finish is a two-tone finish featuring diamond plate with the diamonds a different color. If there's a better look on earth, we'd love to see it! Another HPI exclusive finish. 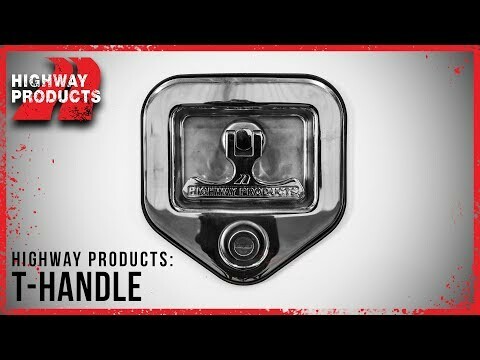 This patented finish features raised dimples for a textured look you can't get anywhere else but Highway Products. Available in raw aluminum or powder coated. Standard raw aluminum, all polished up. Super easy to clean and shines right back up with minimal maintenance, if any. Our signature HPI Black™ finish combines that trendy flat look with just a little shine to hide scratches and keep that tough black look. Custom colors? You bet we do that! Whether you need a color match, want something to stand out or blend in, we can cover it. 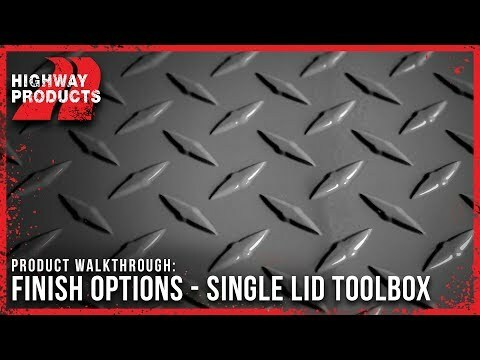 Interested in our Single-Lid Truck Tool Box? Our team of Product Specialists are on standby to answer any remaining questions you have about our Single-Lid Truck Tool Box or to assist you in placing your order.